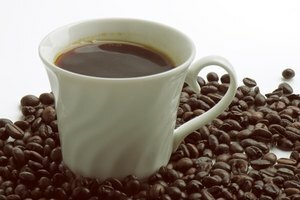 Can You Make Espresso From Instant Coffee? Espresso is one of life's greatest pleasures (if you're a coffee fan, that is). 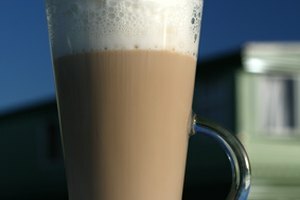 It's a concentrated shot of coffee, served plain, with a dollop of cream or mixed into a latte or mocha. It cannot be replicated with instant ground coffee. 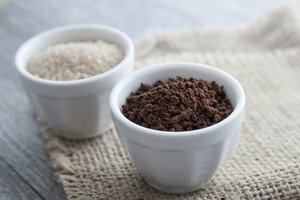 You could increase the ratio of instant coffee powder to water to concentrate the flavor, but technically, it won't be espresso and won't taste the same. Espresso comes from a machine that uses high pressure to force hot water through tightly packed, finely ground coffee in a matter of seconds. The result is a dense, thick spot of joe with a layer of foam, called crema, on top. You can achieve a strong cup of coffee by concentrating regular instant coffee, but it will lack the trademark crema. The first versions of espresso that appeared in the United States were made with dark-roast beans from Southern Italy, but espresso can be made from any bean roasted from light to dark. A method of roasting that brings a lot of the beans' oil to the surface is a hallmark of espresso. 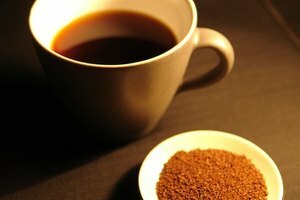 The natural oil lends a distinctive mouth feel and body not possible with instant coffee. Espresso should be made with fresh beans stored in an airtight container away from light and heat. Coffee beans start to degrade 24 hours after grinding, so instant coffee cannot provide the deep aroma and fresh flavor of a cup of true espresso. 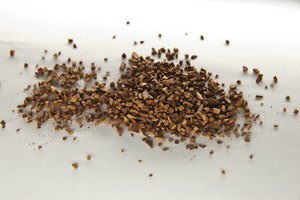 Instant espresso powder is sometimes called for in recipes for baked goods. It consists of intense, finely ground, quick-dissolving coffee crystals and is more concentrated than regular instant coffee. It lends a richness to baked goods, especially those with chocolate, but the powder is not intended to be a substitute for drinking espresso. If you aren't so concerned with the look and authenticity of your espresso and just want a rich coffee flavor for brownies or chocolate cake, instant coffee will do. If a recipe calls for espresso powder, substitute about 50 percent more instant coffee. Be wary, though—adding too much instant coffee, which usually has a greater acidity, may result in a slightly sour or metallic aftertaste. 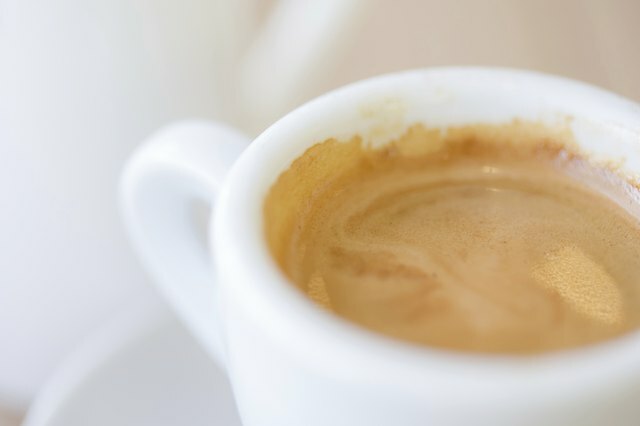 Popular Science: FYI: What Is Espresso? The Kitchn: Pantry Basics: What Is Espresso Powder? Can You Make Espresso With a Coffee Pot?